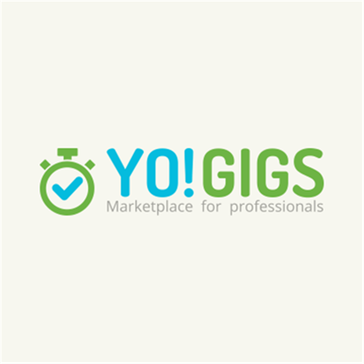 Yo!Gigs is a powerful website script for launching a customizable service professional marketplace. It offers a quick setup of a website catering to service professionals and seekers. Additionally it has robust options like end-to-end communication, review system, bidding as well as task management. What Other Staffing Services solution do you use? LineHire is a tool that delivers qualfied candidates without expensive recruitment agencies for in-house company recruitment teams it deliver companies interview-ready candidates that are qualified, interested and available. At iChat Leads specilizes in B2B customer service outsourcing market providing customer service services. Helpware specializes in customer service, marketing support, accounting support, and sales operations/on-boarding customer support. Vetforce is a salesforceprogram that prepares user for a civillian career in IT, consulting or sales it recognized military experience and provide salesforce training and bsiness skills to get ready for the next job as a Salesforce Administrator, Business Analyst, Devloper or Sales Accountant Executive. Netsmartz creates what you need. Whether it's software for big business, high conversion SEO, an e-commerce store, eLearning courses or a zippy mobile app. If you can think of it - they can do it. SunTec India provides an IT outsourcing services that delivers an end-to-end eCommerce Solutions right from creating and populating online stores to promoting and maintaining them, Data Entry & Management, ePublishing, Document Conversion and Digitization, Software and Mobile Apps Development, Photo Editing, Content Writing, SEO & Internet Marketing, and Dedicated Hiring Solutions. Fusion Post is the easiest and most pain-free way to post bulk jobs that need to be scheduled on to Craigslist. Increase your earnings through Medely by booking shifts directly on our marketplace, eliminating the agency, and passing the savings directly to you. * We monitor all YoGigs reviews to prevent fraudulent reviews and keep review quality high. We do not post reviews by company employees or direct competitors. Validated reviews require the user to submit a screenshot of the product containing their user ID, in order to verify a user is an actual user of the product. Hi there! Are you looking to implement a solution like YoGigs?